Nothing can compare to the joy of watching your child write his name for the first time, or the absolute despair when you discover he's successfully colored your pristine beige walls "monster green". Being a parent is not for the faint of heart, and like us, you're probably selective, so you wouldn't trust just anyone to help with your kids. Finding high-quality, affordable childcare can seem a bit daunting, but GreatAuPair is here to help. As one of the few agencies designated by the US Department of State, we are experts at helping you find an ideal international au pair and taking care of the details. 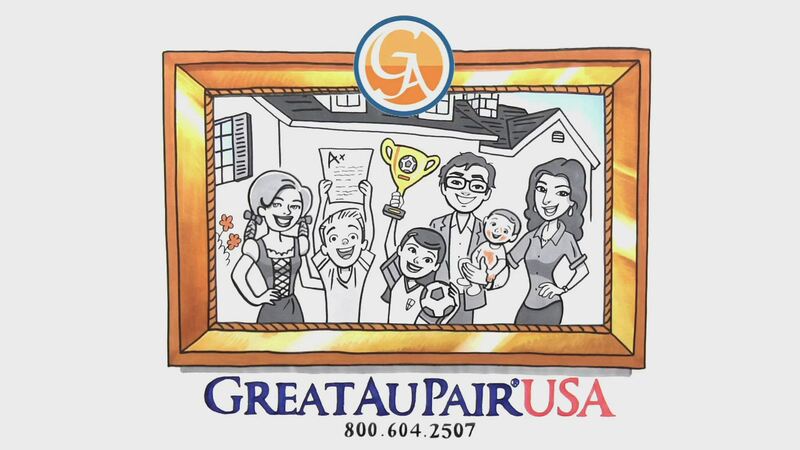 GreatAuPair was founded by busy parents just like you. We know you don't have time to waste. So we do the legwork for you. We recruit quality au pairs, and we're picky about who we allow into our program. After 20 years of childcare and au pair experience, we have unique insight into what makes an au pair great. We carefully screen, interview, and train each of our au pairs to measured standards. And that's just the beginning. Once your au pair arrives, our caring Local Childcare Coordinators and seasoned management team continuously monitor your satisfaction. We coordinate to provide you and your au pair with unparalleled support to ensure an amazing year-long experience. Designed as an Exchange Visitor Program where US families can host a foreign au pair between the ages of 18 and 26 years old for a cultural exchange experience with a childcare component, the US Au Pair program is regulated by the US Department of State and administered by a sponsored au pair agency, such as GreatAuPair. As a US host family you must be a US national or permanent legal resident and English must be the primary language spoken in your household. You must provide the au pair with a private bedroom. Host families pay their au pair a government mandated minimum weekly stipend of $195.75. Keeping in mind that this is cultural and educational exchange, parents are also required to pay up to $500 toward the au pair's education in an accredited institution during her stay in the US.